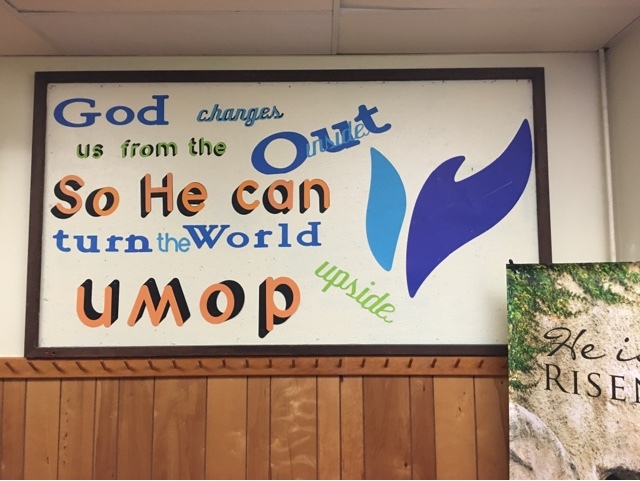 This bulletin board for our church contains our new church symbol. I spent quite a bit of time on getting it just right. I love the slice feature with the Cricut as it expands what you can do with it. Enjoy!